Doctors prescribe drugs known as CDK inhibitors to treat some women with estrogen-receptor-positive (ER+) metastatic breast cancer. Research into these drugs is ongoing, and new, promising CDK inhibitor options are on the horizon. Here, I address the current outlook for CDK inhibitors in ER+ breast cancer. “The first phase III study of PD-L1 inhibitor atezolizumab in previously-treated non-small-cell lung cancer has seen significant improvements in survival compared to standard chemotherapy, researchers reported at the ESMO 2016 Congress in Copenhagen. “A new type of cancer drug designed to unleash the immune system is revolutionizing treatment for advanced melanoma, lung cancer and other malignancies. But some patients who initially respond to the therapy relapse, and researchers are anxious to figure out how and why the delayed resistance occurs. ” ‘Does the immune system stop working, or does the cancer change so that it’s no longer responding to the immune system?’ said Antoni Ribas, director of the Jonsson Comprehensive Cancer Center Tumor Immunology Program at the University of California at Los Angeles. “The ALK inhibitor alectinib was highly active and well-tolerated in patients with ALK-rearranged, crizotinib-refractory, advanced non–small-cell lung cancer (NSCLC), according to results of a phase II trial. “In this trial, 138 patients with crizotinib-refractory ALK-positive NSCLC were treated with alectinib; 122 of these patients were evaluable for response, and 61% had central nervous system (CNS) metastases at baseline. The results were published in the Journal of Clinical Oncology. 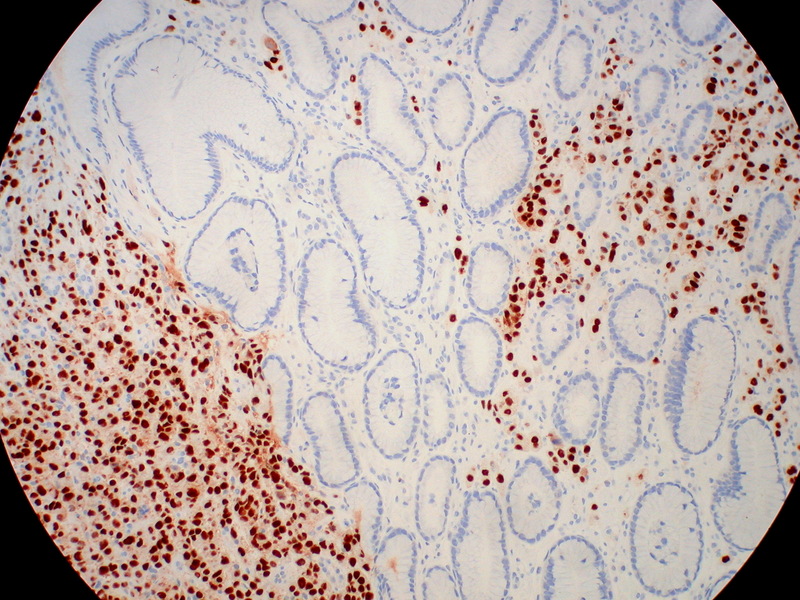 “Scientists have developed a blood test that can identify key mutations driving resistance to a widely used prostate cancer drug, and identify in advance patients who will not respond to treatment. “The new research paves the way for information from a blood test to inform prostate cancer treatment in future, with only those patients whose cancers are free of resistance mutations taking the drug, abiraterone. “The study is also a proof of principle that tests for cancer DNA in the bloodstream can be used to detect drug resistance mutations – allowing patients who will not benefit from one drug to be given an alternative treatment instead. “Researchers at The Institute of Cancer Research, London, the Royal Marsden NHS Foundation Trust, and the University of Trento, Italy, analysed 274 blood samples from 97 patients using state-of-the-art DNA sequencing techniques.